After reading Sarah Young’s Jesus Calling, I felt compelled to read another of her devotional offerings. I chose Jesus Today over Jesus Lives, as it was the more recent publication when I searched. Since I had asked to interview Sarah Young and was turned down due to her current health status at the time of my request, I was curious to see, perhaps how this lent itself to her writing ministry. The top of this book cover proclaims “Experience Hope Through His Presence.” I also felt that my own hope was dueling in a battle and I wanted to see what Sarah’s insights and voice might offer in this warfare. 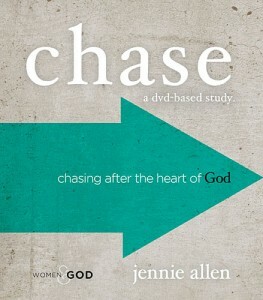 Of course I wondered how her writing would fare compared to Jesus Calling, which was a powerful, edifying devotional. Once more Sarah Young provides sincere, devotional material that provides encouragement, inspiration and hope for the day. Sarah wrote this particular book while fighting her own battle for health and her words shine through with authentic and powerful insights from the journey. 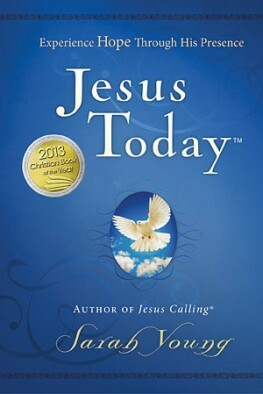 Sarah writes in the book’s introduction that when her publisher asked what she learned through her trial, during her book writing, she responded: “Hope shines bright in the trenches of adversity.” She then goes on to share the details of the processes, problems and pursuits of healing and health that prevailed for the time after publishing Jesus Lives. So what do I think about Sarah Young and Jesus Today? 1. Her writing will minister grace and truth to the reader. Period. If you can’t see both grace and truth on the pages of these writings, you need to have your your spiritual eyes checked. 2. That being said, I acknowledge that her writing in the First Person for God bothers some. As a matter of fact sometimes when I read it, I flip to the second person. It’s easy enough to do. I’ve thought about it,I can see how that becomes problematic for some…but Sarah’s work speaks for itself. Her words for God resonate His heart toward His own, and reflects well the scripture that is laid out with these thoughts. 3. I appreciate the way the devotional is set up. One page gives the words of Sarah as she feels God has led her to share (all that any Christian author can do) then on the opposite page each scripture is laid out (in a few translations, but primarily NIV). It is evident that the words that Sarah has written are completely scripture based, in this format. One cannot avoid the resonation of the Word in Sarah’s writing voice. 5. I think that there are a number of wounded, limping believers who God longs to meet through Sarah’s heart felt, spiritually powerful writing. Period. Those who don’t agree can choose to pass up this excellent ministry tool. Not me, I devoured it and found it to be another gifted offering from a writer who knows her Maker well. 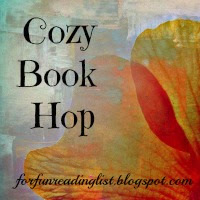 *Although I do review books for Thomas Nelson Publishing, I purchased this book myself. All opinions, as usual, are my own! This weekend I will be posting my 500th blog post and with that milestone, thought it to be rather merry to send a little love to your doorstep just in time for the New Year! 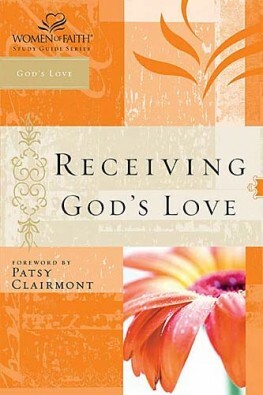 If you are looking for a Bible Study to kick off 2013, I think starting with Receiving God’s Love will be a blessing and beautiful way to do it! It is spiral bound, with room for notes and answers! I wish I could send you all one, but I will choose one random recipient on December 25th. Winner will be announced the 26th (unless I can’t wait!). Thank you for joining me in the journey! Thank you for welcoming and receiving His heart in me expressed through my imperfect but abundant words. Just leave a comment below for a chance to receive this gift. If you have a favorite verse that has ministered to you well about His love, I would love for you to share it below with all of us, that we may feast together on it and be encouraged! *If not just leave a comment to count yourself entered! Women who are new believers and women who have been friends of God for years will benefit from this reminder that they are precious to God. In this study guide you’ll discover the height, width, and breadth of God’s amazing love for you! “God doesn’t compare us. Jesus doesn’t compare us. This book is written with 7-11 year old girls in mind, and is an encouraging reminder of where young girls (and moms) need to fix there eyes. I shared it with my (beyond her years) 11 year old girl and she really liked the tips for hair, skin and nails. I confess, I was a bit convicted about my own bad nail biting habit as I read and newly inspired to tackle quitting the nasty habit. Nancy tackles beauty, personal hygiene and relevant tween topics with scripture, thoughts to ponder and self-reflection. Each section ends with a Journal Box called Lily Pad which poses a question and leaves room for writing (journal style with reflection). And others are a bit deeper. Throughout the book, Nancy encourages going to God in prayer about so many of the challenges, changes and issues that come about in this age of becoming young women. Interactive and scripture focused, this read makes for a wonderful addition to a young girl’s library. Quizzes, Fill In’s and whimsical drawings make this appealing to a wider age range but don’t let the cuteness fool you; the information presented is both practical and useful. Learn with Lily and her friends just what it means to be beautiful in God’s eyes—inside and out! In a society so focused on the idea that external beauty reigns supreme, it can be difficult for young girls to figure out what “true” beauty is all about. This unique and creative book for girls ages 7–11 answers the common questions girls ask during this often confusing and overwhelming stage in their lives in an inviting and conversational manner. Filled with fun quizzes, imaginative activities, and cool illustrations, The Beauty Book offers cool, relevant information about everything from great hair styles to tattoos, from skin care to clothes, and much more. Above all, the message that God-confidence is beautiful is highlighted on each and every page. Disclosure: I received this book free in exchange for review. Opinions expressed are my own. 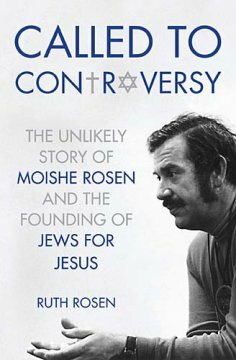 Called To Controversy – The Unlikely Story of Moishe Rosen and the Founding of Jews for Jesus is an exceptional biography written by the daughter of the controversial, colorful, wonderfully eccentric leader of the Jews for Jesus group. With loving attention to detail, yet objectified perspective throughout, Ruth Rosen manages to bring her father to life in the pages of this book. I had always known about the evangelical organization named Jews For Jesus but not much beyond the vague notion of their mission. Having Jewish friends, and a love for the Jewish people in general, I was curious when I saw this book available. This book was one of the most thorough biographies I have ever read. So much personal family history, intimate observation and background insight was available, due to the relation of the writer. Ruth Rosen also worked alongside her father while growing up and during her adult years; she successfully sheds light on him in a way that is honest, forthright and without excuse. After reading this biography which follows Moshei from his childhood roots in Denver to New York and ultimately California, I really wish I could have met this servant. He was passionate in both his Jewish heritage and background but also in the truth of Jesus as Messiah. His heart was for the Jewish people to know the truth and to allow them opportunity and exposure to the truth he himself held dear, although it cost him his own parents acceptance initially. One of his co-laborers described his strength as a leader this way: “To give vision and encourage others to go beyond what they think they can do”. Many of the anecdotes reveal him a natural salesperson (early on), a lover of people, painfully honest (at times), wisdom, spirit led and quick to hone in on the gifts of others and allow them to serve beyond their own perceived capacity. I think this would be a great read for men and women in leadership because this man was “practically” spiritual. There are excellent examples of servant-leadership, humility and also the honesty of a unique, imperfect man who learned to listen to the Lord. I was inspired by the way he lived his life purposefully and passionately and with dedication to the call he felt in his life. Great read. What does it mean to be a Jew? What practices are relevant? And is belief in God even necessary? Answers to these and other questions reflect the amazing diversity within the Jewish community. However, one terrible fact—centuries of persecution in the name of Jesus Christ—has united this diverse community in one belief. Namely, that Jesus Christ is not the Jewish Messiah. Moishe Rosen was born into this culture. No New Testament. No Christmas. No question. Even nonreligious Jews—including Moishe’s family—would disown anyone traitorous enough to profess faith in Christ. Which means the moment Moishe was called to Christ, he was Called to Controversy. This stirring account from his daughter describes the rise of a man whose passion for Jesus and passion for his people triumphed over self-preservation and ultimately fueled an international movement that is still changing lives today. Called to Controversy is the inside story of one the most influential evangelists of our times.